In Buenos Aires, there are so many entertainments for travelers with kids that one would need to spend many days there to visit all most notable places. There is a wonderful museum for children in the city, Museo de los Ninos. This is a true town for children with beautiful design and many interesting exhibits. The museum is interactive, that means that visitors are welcome to try various things. For example, children are offered to try out various professions, so they can become a shop assistant or a postman for a few hours. There is a McDonald’s café in the museum, and kids are welcome to go to the kitchen and try to cook something there, or they can head to the publishing house and issue their own newspaper. A visit to this museum will entertain the whole family. School age children will enjoy their visit to the Museo Participativo De Ciencias. This museum also offers an interactive exhibition dedicated to various areas of science. Visitors are offered to make interesting tests and see how main laws of mathematics, physics, and chemistry work in real life. Children will learn many interesting facts about the sciences that seem to be boring at school. The room of illusions and the room of sound are considered the most interesting places in the museum. There are many beautiful parks in Buenos Aires, so fans of outdoor activities will have an opportunity to enjoy these magnificent places. Bosques de Palermo Park is considered the most beautiful park in the city, and it attracts not only tourists but also locals. This large well-kept park is a great destination for sports. Visitors are welcome to ride a bicycle or roller skate and make a picnic in the shade of old trees afterwards. The park regularly hosts various mass sports competitions, and absolutely everyone is welcome to participate in them. Bosques de Palermo is a great place to visit all year round. There is a pond in the park, and visitors are allowed to make a boat ride on it in summer, and kids will be happy about the idea of feeding ducks that live in the pond. The Japanese Garden is another great place for travelers with children in Buenos Aires. The garden is distinguished by the incredibly beautiful design and never ceases to amaze visitors with its numerous wooden roads and bridges that are so liked by children. Besides the amazing flora, there are manmade ponds with fish in the garden and many birds, observing which will also please visitors. The Japanese Garden has one more peculiarity – its staff is dressed in traditional Japanese costumes, so travelers are guaranteed to make many memorable shots. of course, there is a wonderful zoo in Buenos Aires. Zoo Buenos Aires is also very popular with travelers with children. Children will be particularly happy to hear that it’s allowed to feed and pat many animals. During a visit to the zoo, kids will have an opportunity to approach friendly zebras and feed rabbits that run freely everywhere in the zoo. The most courageous visitors can enter cages with lions together with the zoo staff or ride a camel. 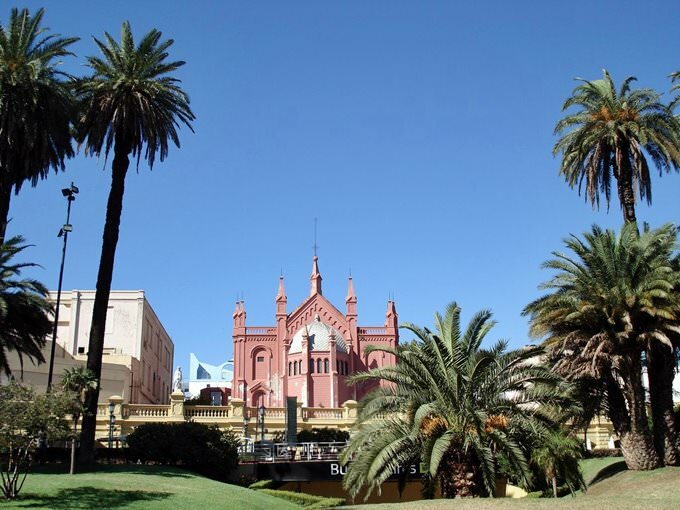 This guide to family holidays in Buenos Aires is protected by the copyright law. You can re-publish this content with mandatory attribution: direct and active hyperlink to www.orangesmile.com. Guide to sightseeing and entertainment for children in Buenos Aires - parks, attractions, museums, zoos, water-parks. All fascinating and educational sites of Buenos Aires, which are must visit and see for your child. Find out the best discovery routes and places for kids (local theaters, exhibitions and museums), where you can spend quality time together. 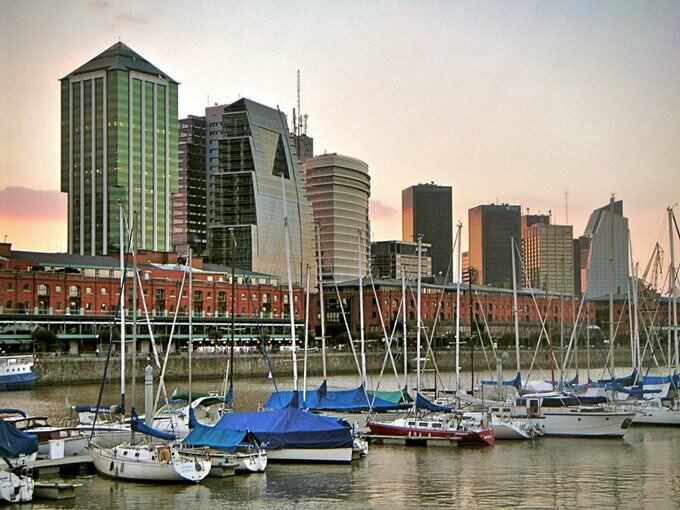 Buenos Aires for families with children.